Have you ever wanted to make Rydia beat herself up? No? Well you might enjoy this anyway. 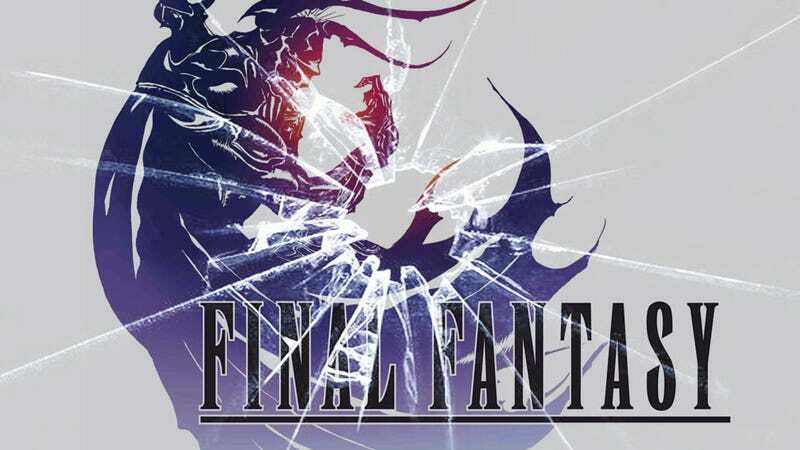 Last year on Random Encounters, we learned how to break Final Fantasy VI. Today, I'm going to show you how to take apart one of its Super Nintendo predecessors, Final Fantasy IV (the one with Cecil and Golbez). It'll be fun. If you&apos;ve played Final Fantasy VI, you&apos;ve probably seen some weird glitches. Spoilers for FFIV follow, obviously. So it turns out there's a glitch in Final Fantasy IV that lets you break the world map. You can use it to skip a pivotal scene in the beginning of the game and cause all sorts of chaos as a result. I first found out about this bug last week, while reading through the brilliant website Legends of Localization (which you should check out if you haven't already). Here's the gist of it: while moving on the map, if you press the X button very quickly, you can actually enter the menu while your character is mid-transition. Then, if you use a tent, you'll pop back up and find that the game engine is all out of whack. The game's collision detection is suddenly off by a tile. Of course, what fun is a glitch if you don't use it to break things? I loaded up Final Fantasy IV this week to try to test this thing out. It works. This is me walking on Mist. This is me skipping Mist entirely. Let me explain. At the beginning of Final Fantasy IV, your heroes Cecil the Dark Knight and Kain the Dragoon are sent to deliver a package to the sleepy town of Mist. Once you get there, the package detonates and sets fire to the town. You meet a little girl named Rydia, whose mom you've just killed. She summons a monster to get revenge. Then Cecil blacks out. He wakes up in a field on the other side of the mountains. Kain is gone. Rydia is lying nearby, unconscious. Cecil picks up the girl and heads out into the desert. By skipping Mist, we skip that entire sequence. The package never explodes. Rydia's mom never dies. Kain never leaves. And the whole game is broken as a result. The game doesn't realize you've skipped Mist! You still trigger the script where Cecil carries Rydia to the inn, even though Cecil has never met Rydia. And suddenly she appears. The rest of this scene progresses as it normally does, with Cecil and Rydia chatting, and Baron officers coming to attack you in the middle of the night. This is not supposed to happen. Awesome. We broke the game. Now we can do some interesting things. First, let's see what happens when we head back to Mist. Here we find Rydia's mom's lifeless body, but we can't do anything with it. The script won't trigger unless we walk to the left entrance of Mist, which is where the game expects you to enter from. We came in from the right. Mist's shop is open, so we can go in and get some advanced weapons for Rydia and make the game even easier than it already is. Because little Rydia is yelling at us even though she's also in our party. And now she's attacking herself. :( Poor Rydia. After this, the game proceeds as normal: Kain leaves your party, Rydia stays in it, and presumably you can play the entire game without any more issues. But we don't want to go back to Mist just yet. Let's restore a save from back at Kaipo, after skipping Mist, and see what other sequences we can break. In a normal playthrough, we're supposed to go to a house in this village, where we find Cecil's girlfriend, Rosa, who picked up the desert fever. When you enter the first save room, the game thinks Tellah is in your party! So at this point, our actual party is Cecil, Rydia, and Kain, but because the game's engine is built so that the on-field sequences have nothing to do with your actual battle party, you can still see the same scenes you'd normally see at this part in the game. We keep fighting through the Underground Waterway and make our way outside. When we get outside and walk through that little valley, Damcyan is attacked by Baron's Red Wings. Everything's normal here. The castle is on fire. All is good. When we get to the throne room, Tellah sees his daughter dying. Again, all is normal. Maybe we can skip the Damcyan bombing entirely. Let's glitch our way through the mountains. Bam. Using the tent trick, we walked over the mountains and skipped the scene where Baron's Red Wings come and blow up Damcyan. Now the castle looks perfectly fine. At least on the outside. The inside is a different story. We didn't actually see the castle get attacked, but the developers clearly had no reason to build pre-catastrophe Damcyan, because we'd never see it anyway. So we don't actually need to trigger the bombing for the castle to get bombed. And then we face the same problem we faced before. We can't continue without going back and getting Tellah, and we can't go back and get Tellah without fixing the script. Not a very useful bug, unless you really want an early Whip, but fascinating nonetheless. You can try it for yourself using any copy of the game on Super Nintendo. Because breaking old JRPGs is awesome.